The Feed Your Family Tonight Cookbook is full of easy weeknight dinner recipes with full instructions for beginners and seasoned cooks. There are helpful hints for preparing ahead and freezing as well. The book is 87 pages and spiral bound so it is easy to use in the kitchen. 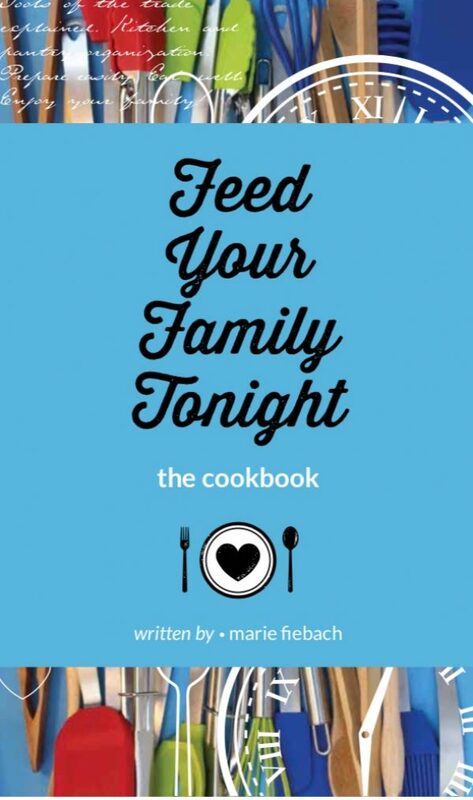 It will be a go-to cookbook for easy family dinners everyone will love.